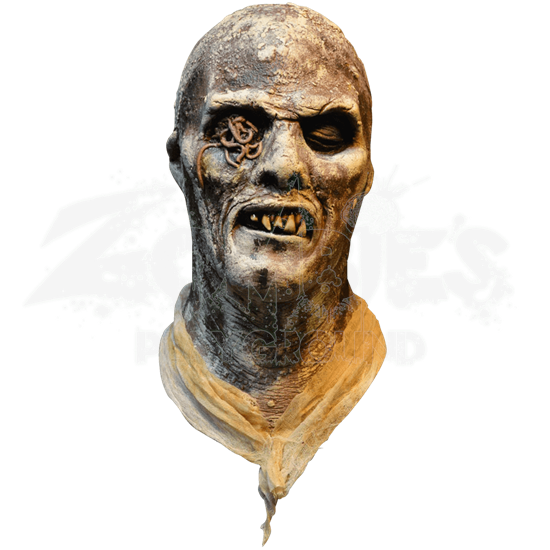 Based on one of the most iconic horror movies ever, Zombie 2, this licensed Fulci Zombie Mask was created as a replica of the zombie on the poster for the film. This is definitely the most accurate Fulci Zombie mask ever produced. The rot and decaying skin on this zombie are just amazingly detailed. Featuring the signature worms crawling in one eye, this mask looks like it came straight out of the movie. Fans of the genre will instantly recognize and appreciate this rendition of the famed reanimated Spanish conquistador, immortalized on most posters for the film. This mask is made from high quality latex and is designed to cover the head and neck when worn. 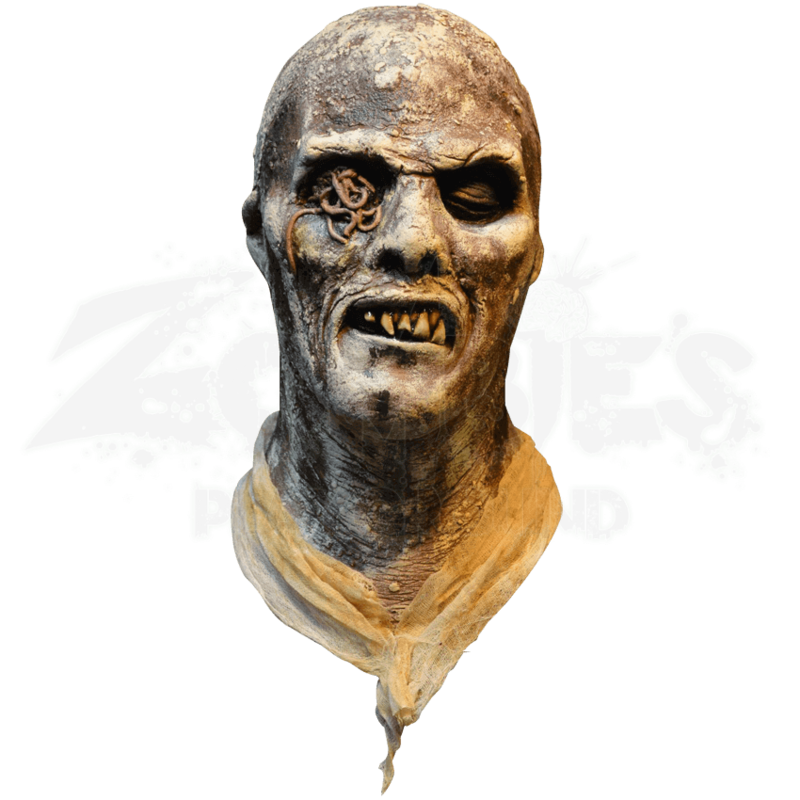 Now you can transform into one of the most iconic zombies of all time!